Looking back now, if there is really a watershed in China's TV programs, the â€œSuper Girlâ€ was absolutely overwhelmingly elected in 2005. At that time, there was no money or no baby, and even young post-80s were able to use SMS to demonstrate the tremendous influence of a new generation of consumers. Force, and more importantly, in addition to letting a generation of people use mobile phones to fall into a group carnival, "Super Girl" also created the prototype of the "Network Interaction" model in the future. Today, in the past decade, technology has been iteratively updated at its own frequency. Overnight, WeChat made old text messages grow old. After the 1980s, they all became parents when the world peace was handed over to the post-90s. TV was becoming a still life in the living room and the so-called â€œTV 3.0â€. In the era, everyone is discussing new ways of network interaction. Take the music reality show as an example. Since the beginning of this year, the topical effect represented by â€œI am a singerâ€ has led to social discussions, to the new trial of â€œChina Good Voiceâ€ in the third quarter online quiz game, and to the â€œChinaâ€ that is being broadcast. "We are listening" WeChat "shake it and shake it" to vote directly. The transition from one screen to multiple screens becomes the only way for music reality shows and the Internet to continue playing. The "fierce degree" is also skyrocketing. It is backed by optical media and CCTV. The two major backers, "China is listening," directly use "Internet thinking" as the biggest selling point. In June of this year, Ray Media bought the rights to the Israeli show â€œRising Starâ€ with copyright fees of several tens of millions. As "China is listening" original, "Rising Star" has set a record of 49.4% in Israel. Its program setting is similar to the "new economic era" which has subverted the concept of "producer and consumer" in many traditional industries. The users are producers and consumers. The player stands in the center of the stage and has only a huge screen in front of him. He wants to pass the song. Audiences who watched the program liked it for themselves (the original version was voted through the program's exclusive APP, and the Chinese version used the "shake" function of the WeChat platform). As an interaction, all the avatars that praised the audience would appear on the live screen. With a support rate of over 70%, the giant screen rises and players can see the audience and four hearings. It is worth mentioning that, unlike other music draft judges or the â€œeliteâ€ status of mentors, the power of the four star censors in â€œChina is Listeningâ€ is very limited (only 8% per person) â€” well, you can understand it as a draft A "decentralization" of the program. Of course, there are some regrets, because China's "Radiohead" band (you know) wrote such a famous lyric as early as in 2007: "The draft must not use any mobile voting such as mobile voting, telephone voting, Internet voting, etc. After the "decentralized" program of this file was "finished", the 500 people on the scene decided to leave the game. 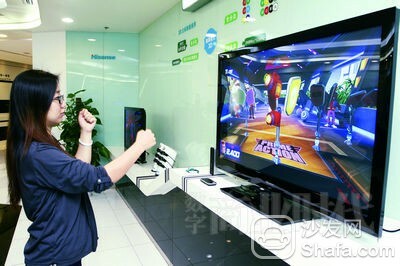 The audience before the television could sing while playing, and they could shake support or opposition through WeChat. Get priority or immunities to influence the direction. It can be seen that the interaction between the mobile terminal and the television network in real time is the main advantage of â€œChina is listeningâ€. In fact, prior to this, the reality show and the APP had several â€œwish to talk aboutâ€ marriage, including programs such as â€œWhere is Daddy?â€ and even developed a relatively mature and stable industrial chain on the mobile sideâ€”well, APP has natural interactivity and implantable space, and naturally it will not be easily missed by major TV production companies. 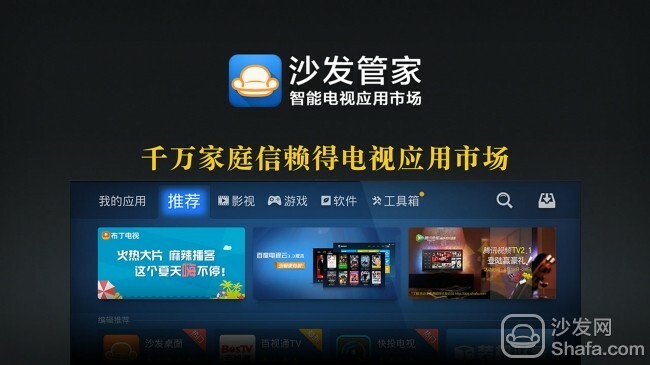 However, after the simple and direct path of â€œvotingâ€ did not work, the major producers, including Hunan Satellite TV, decided to â€œcurve the countryâ€ and reach the network interaction through sweepstakes, quiz or mobile games, but there is no doubt that There hasn't been a single "interactive" subversion. Basically, it's a derivative of the show itself. It's the equivalent of a movie blockbuster surrounding a doll. It's not directly related to the ideal "multi-screen interaction." A little surprise may be considered the "Good Voice Live TV" quiz game in the third quarter of "China Good Voice" this year. The game is developed by Tencent video on the basis of the WeChat platform. It also introduces WeChat's â€œshake itâ€ interactive mode. When a viewer watches TV, whenever a new person appears, they can guess the outcome of the contest. The election has the opportunity to win the prize, although it sounds vulgar. However, it is also the first step in the real sense of "network interaction". In this sense, despite the objective shackles, â€œChina is listeningâ€ is also a step forward in terms of participation. After all, WeChat users can influence the results to a certain extent, and when the user holds the life and death Power will undoubtedly bring more sense of participation. Such examples are all on the Internet (in accordance with Maslow's theory, people have the need to be respected or not willing to be ignored), so although Both "sound" and "listening" are based on WeChat's "weak influence," but there is a small gap between the data. The public information shows that "China is listening to" has participated in the "four shakes" interactive data in the first four phases. 12.28 million, 256.97 million, 491.6 and 5.1 million, which have exceeded the cumulative number of users of â€œChina Good Voiceâ€ and the number of Weibo discussions has reached 248,000 â€“ yes, even if only a little more power, it is exciting enough. To further explain this, it may be that evolutionary psychology is working. It is necessary to know that in the ancestral 150-person tribal environment, everyone's voice and decision will be heard and seen by all people. This kind of "small group consciousness" Rooted in the human brain, when modern people vote or buy lottery tickets, the brain cannot imagine the tens of millions of people standing together in a grand scene, so people will think that each individual action will change everything, which is also included Physiological interpretation of any voting behavior of humans, including support for players. Pulling away, let's go back to the conversation. Let's talk seriously about the future of television. For the future of the traditional television industry, it is a sad song. "I often watch TV shows, but I haven't seen them on television," which is a microcosm of TV shows. Well, today's people are "immediate animals," and they continue to cut the content and pick the best ones. Once upon a time, everything was packed into big, heavy "wraps." You wouldn't buy a great one. The story or single, but to buy a magazine, book or CD, so the dying or has died is the magazine, book and CD. Is this the future of television? In my opinion, according to this logic, it is not the television that has disappeared. It may be that there is a large-scale television station that broadcasts video programs linearly. In general, the so-called â€œfuture of TV programsâ€ will be replaced by â€œvideo logic under the Internet. It is not television sets that disappear. It is possible that large-scale TV stations that broadcast video programs will disappear. Overall, the so-called The pseudo-problem of "the future of television programs" will be replaced by the real problem of "video application scenarios under the Internet." In the foreseeable future, television itself will no longer be an independent industry. It will be the production of Internet content. The means of application of a particular scene is this: In the aesthetic era of the crowded effect, the role of television is to create a "mass" carnival. In fact, TV - as a traditional "hardware" born in the industrial era, is still able to join the competition. Perhaps it can be depended on the "Where the Dad is Going" and "China is Listening." Show them. There is no doubt that the seamless connection and interaction between all screens is a general trend. If from a supply perspective, the reasons for the existence of televisions do not seem to be sufficient, but do not forget that an important change in the era of experience economy is To look at the product from the perspective of demand, it is like the functional properties of melatonin itself can only Oh, but it meets the needs of migrant workers to go home to visit relatives. Similarly, switching to the demand perspective, Luo Fei said: "TV does not simply mean a simple hardware, it is the core of an important human experience - the living room. The sociological significance of television is that it is a family polymerization ceremony Or totem. To make a television is not an extension of hardware, it is an extension of the experience space." Well, in the 1980s, watching TV was an important family activity. However, this ritual sense gradually fell apart. The â€œSuper Girlâ€ in 2005 reshaped this sense of ritual. People like a holiday for a certain player and A song is back in front of the TV. At least in essence, today's music reality show continues the theme of the year. When people are gradually immersed in unlimited personalized and customized services on the mobile and PC side, who will provide the most solemn ritual for the public will win the market. - You know, the biggest "group event" on the Internet is the 2014 World Cup, a typical TV application scenario. Therefore, the future of TV shows may be the reality of the era. Nowadays, variety shows have become the most watched savior of TV stations, and even "single-core drivers" have already had such signs. Then the last question, how to use better technical means to stay in these "festivals"? To be sure, WeChat "shake" or other APP will increase the interaction while adding a bit of festive atmosphere. And in the future, when the TV becomes a wall in the living room, when the three-dimensional holographic images let a few judges of the music draft in your house ... I believe every weekend, you will choose from the "all for you" computer slightly leave for a while. Then the last question, how to use better technical means to stay in these "festivals"? To be sure, WeChat "shake" or other APP will increase the interaction while adding a bit of festive atmosphere. And in the future, when the TV becomes a wall in the living room, when the three-dimensional holographic images let a few judges of the music draft in your house ... I believe every weekend, you will choose from the "all for you" computer slightly leave for a while.